We’ve built our cuisine on natural flavors, ingredients of the highest quality, proven procedures and recipes which we adapt to our vision. We try new techniques and we compose brand new dishes. We collect our inspiration from all over the world and from the nature around us. Our chef Jirka Nosek uses the new techniques to bring a maximum from the most prime meats and seafood from all over the world as well as ingredients that grow in meadows and forests of Český kras. We work with a complex selection of the best oysters and seafood on the market. We bring oysters from the top producers in the world. We serve them with 180 kinds of champagne in a wide variety of flavors from the big and famous houses as well as the small, family producers who are often even more intriguing. Elegant and timeless design of the interior with soft lighting and ambient electronic music creates the perfect noir mood for a laid-back drinking of champagne and eating oysters and caviar. Even seemingly contradictory features are in harmony, and these contrasts make a distinctive ambiance. It doesn’t matter of you wear jeans or a tux, you’ll always feel relaxed and comfortable here. Especially on our summer garden with a view of the St. Jacob’s church. You can sit here hours into the night and feel like you’re in a seaside destination. Zdenek’s Oyster Bar was opened on 2011. Our chef Jirka Nosek joined us soon after that and he started to create in modest conditions a seafood cuisine which was very unique for the Czech Republic. Promptly we succeeded and were able to dramatically widen the selection of champagne and wine and we found the best suppliers of oysters and all the other ingredients and we began to really thrive. A proof of our success was insufficient capacity of the restaurant and we had to rebuilt it, make it bigger and that gave us the chance to refine the design and built the kitchen with the top notch equipment. 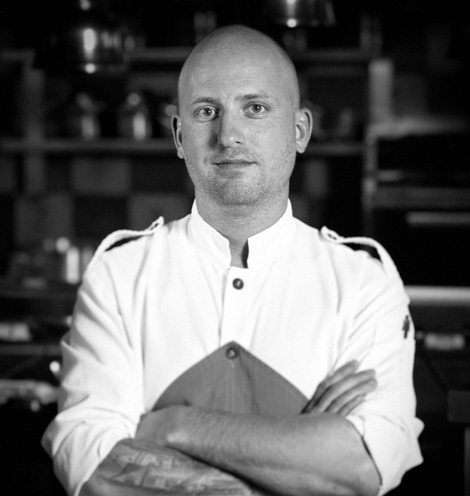 Chef Vasek began his career as Chef's Assistant at Prague's Apostila restaurant, moving up to Executive Chef. For four years he focused on creative international cuisine, respecting seasonal local produce and ingredients in his dishes. Vasek previously completed internships in Italy; recently he completed a course with world-renowned confectioner, Hans Ovando. Executive Chef Vasek has been working at Zdenek’s Oyster Bar since its establishment, where his passion for fusion seafood cuisine developed and flourished. Follow us on Instagram (@zdeneksoyster) for a daily dose of news from our kitchen and bar!